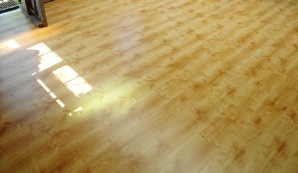 Correct sub-floor preparation is essential to the longevity and appearance of your new floor. 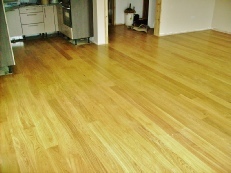 High spots and irregularities can not only spoil your floors appearance but can also cause premature failing, wear, and even tears in your floor covering over time. 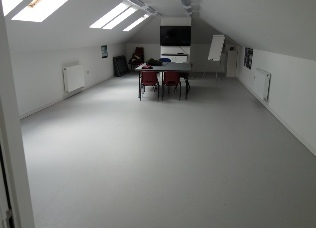 The longevity of your floor is dependent on the quality of your sub-floor, and with each floor having it’s own particular requirements, our expertise will ensure you receive a lasting, quality finish. 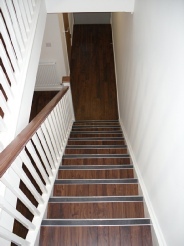 When you choose us, you can guarantee that the quality of what you don’t see will be as good as the finish you do, ensuring you receive the best value for money over your floor’s lifetime. 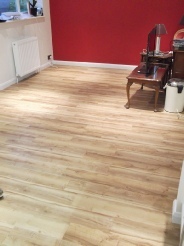 LVT is a high end vinyl which is sold in tiles and planks as opposed to sheets. This gives endless choices of how you want to lay out your floor which can further be customised with borders, inlays and feature strips, creating a totally individual look. 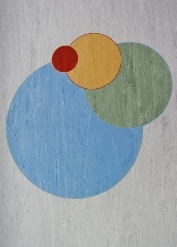 The photographic top layer can replicate various wood, stone and ceramic finishes. 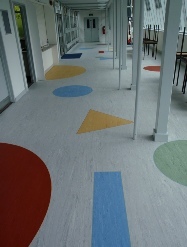 Being warm underfoot and tough wearing, it can be used in any commercial or domestic area to great effect. 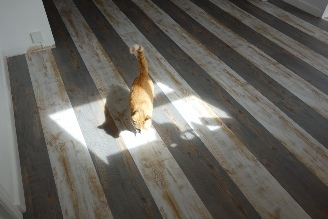 Available in a wide range of colours and designs, vinyl flooring remains a popular choice. Being cost effective, easy to maintain and water resistant, it also comes in cushioned and acoustic varieties, making it a suitable choice for commercial and domestic customers alike. 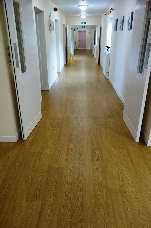 Safety flooring is a necessity in many sectors, be that healthcare, education, retail or your own private home. With slip prevention being a priority for all businesses, appropriate slip resistant flooring will assist in complying with health and safety requirements. 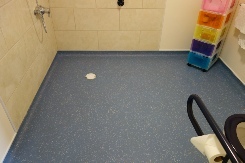 Wet areas can be a particular risk in commercial and domestic properties, with safety flooring providing the perfect solution. 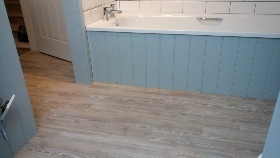 Safety flooring can be coved up the walls to provide a skirting, perfect for wet rooms and bathrooms to provide a fully waterproof finish. With many colours and styles being available, safety flooring will provide a hygienic, anti-slip finish without compromising on appearance. 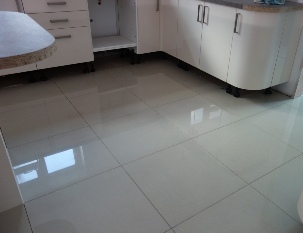 Tiled floors will always be popular due to the endless styles and finishes available, their durability and ease of cleaning. 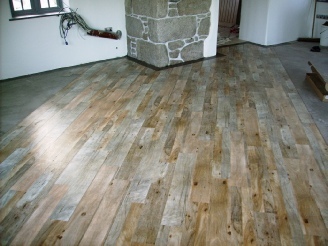 Patterned, plain, textured, wood and stone effects can all be achieved to suit your home or business. Being a perfect partner to underfloor heating, they conduct heat evenly and can be warm underfoot during the colder months. 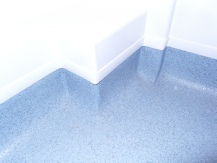 With anti slip varieties being available, they are great for bathrooms, kitchens and hallways, but can be used in any area of your choice to stunning effect. 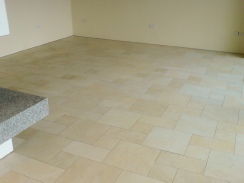 Nothing beats the beauty of a natural stone floor. In use for centuries, it has a timeless appeal which can work in a traditional or contemporary setting. It is hard wearing, easy to clean and maintain and won't become outdated or be affected by current trends. 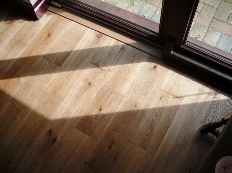 It is also particularly suited for use with underfloor heating. With each tile having it's own unique characteristics, stone tiles will create a truly individual floor. 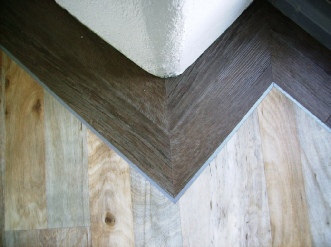 Borders, inlays and patterns will give a unique and individual look to your floor. 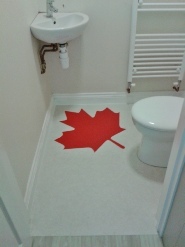 Used to accentuate, decorate or personalise your floor, you can make sure your commercial or domestic floor is one of a kind with a bespoke design such as the hand cut Canadian flag or bright shape designs shown below. Or you may simply wish to add interest with a contrasting border and feature strips to create a floor individual to your property. 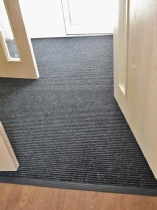 Being warm and quiet under foot, carpet remains a popular and widely used floor covering. 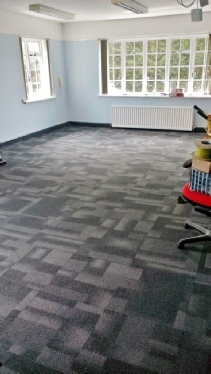 Being suitable for most rooms, it is commonly used in offices and classrooms and comes in a wide range of styles and colours to suit all budgets. We can supply and fit a wide variety of sheet carpet or carpet tiles to suit your requirements, which can also be personalised with your own emblem or logo to promote or personalise. 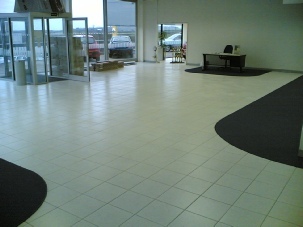 Entrance matting is important in a wide range of commercial properties. They provide a safe surface when entering from outdoors, and prevent the carriage of moisture and dirt to the floor coverings beyond. With many styles and colours available, they provide a safe, cost-effective entrance solution. Linoleum is a natural product made from renewable products including linseed oil, jute and wood flour which makes it an eco-friendly flooring solution and the most sustainable flooring choice. It is anti-static and inhibits the growth of bacteria, making it a suitable choice for allergy sufferers.. 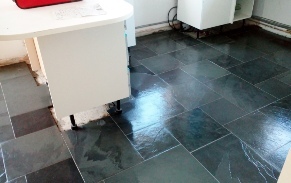 Available in sheet or tiles and coming in many colours, it makes for a durable, stylish flooring choice for commercial or domestic use. Wood floors have a timeless, elegant appeal and are a popular choice for commercial and domestic properties alike, where they add warmth and character. If changes in temperature or humidity is a consideration, engineered wood boards with their plywood base construction provide the perfect choice. 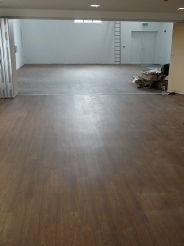 For a cost effective option, laminate can provide the appearance of wood, being quick to install and providing a durable and easy to clean finish.